Triple i Logistics spends more than 500 million baht to complete its deal on the purchase of a 50% stake in Around Logistics Hong Kong, stepping up to be truly a sales agent of freight for airlines in the region. Triple i Logistics PLC. (iii), Thailand’s leading integrated logistics operator, announced to buy a 50% stake in Around Logistics Management Company Limited in Hong Kong for over 500 million baht to strengthen its air freight business and also expand its partnership with airlines in providing service to cover destination in 24 nations worldwide. It expects total sales in 2019 would grow over 20%.Triple i Logistics PLC. (iii), Thailand’s leading integrated logistics operator, announced to buy a 50% stake in Around Logistics Management Company Limited in Hong Kong for over 500 million baht to strengthen its air freight business and also expand its partnership with airlines in providing service to cover destination in 24 nations worldwide. It expects total sales in 2019 would grow over 20%. Mr. Tipp Dalal, CEO of Triple i Logistics PLC. (iii), said the company’s board meeting has approved a deal to purchase a 50% stake in Around Logistics Management Company Limited in Hong Kong. It has bought 125,000 shares, or making up 50% of the common shares to be issued and allocated of Around Logistics. To do so, the company has used its fund raised from IPO, cash flow from operation and borrowed from financial institutions to spend on the purchase, with the aim to increase its business value in air freight business. 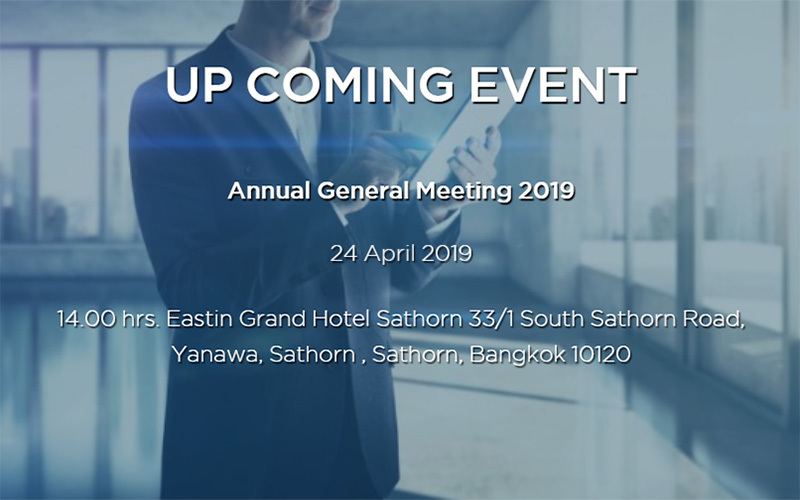 Especially General Sales Agent (GSA), it is aimed at driving its growth, boosting its competitiveness and strengthening its business after acquiring DGP in Singapore and a 14.95 stake in SAL Group (Thailand) Company Limited early this year. Around Logistics Management Company Limited and its subsidiaries are trade partner with Triple i Logistics for more than a decade to operate business as a general sales agent of freight with airlines specializing in Asian region with offices in Thailand, Singapore, Hong Kong and Vietnam. Currently, it is an agent for more than 22 airlines such as All Nippon Airways, Vietnam Airlines, Hong Kong Airlines and leading airlines with destination covering in 24 nations across Asia, North America and Europe. • To increase opportunity to expand its business regionally following the company’s strategy which is moving ahead its 4 major business, and one of them is air freight service. Investing in Around Logistics Management, with its subsidiaries as freight agents for airlines in the region, especially in Hong Kong and Singapore as trade hub in Asia, and also Vietnam with fast-growing economy and this will lead Triple i Logistics to receive know-how about international trade for being the agent for 22 international airlines to serve the company’s strategy in securing its future growth. Moreover, the firm will receive a regional partnership to help add value to the existing businesses in the group to expand regionally. • To increase the company’s sales and profit. After the acquisition, Around Logistics is part of the group, which will produce a return from investment through dividend contribution and profit to the company, resulting in strengthening our profit and cash flow in the group in long term. “This investment is a crucial step for the company’s strategy in partnership with our network in order to add its business value in the company’s air freight service to cover different nations across Asia truly. Sales and profit the company will receive will in part lead the company to achieve its sales target as expected, thanks to organic growth from major business and inorganic growth from acquisition. Currently, the firm has boosted our competitiveness and created differentiation over rivals in order to secure our sustainable growth. For 2019, Triple i Logistics expect its sales would grow more than 20%,’’ Mr. Tipp said. About Triple i Logistics (iii)Triple i Logistics is the logistics provider in four areas, including air freight, sea freight and inland transport, logistics management and chemical & specialty logistics, to serve various Thai, international and public clients.